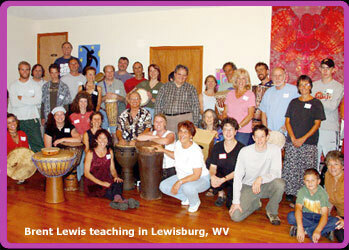 Brent taught 1000 students each at the High School and Junior High School in Lewisburg, WV. He also taught the head start teachers in the same town and did a rhythm workshop there. Brent also went to Santa Barbara, CA to teach pre-schoolers to 10-ear-olds at Crane Country Day School.